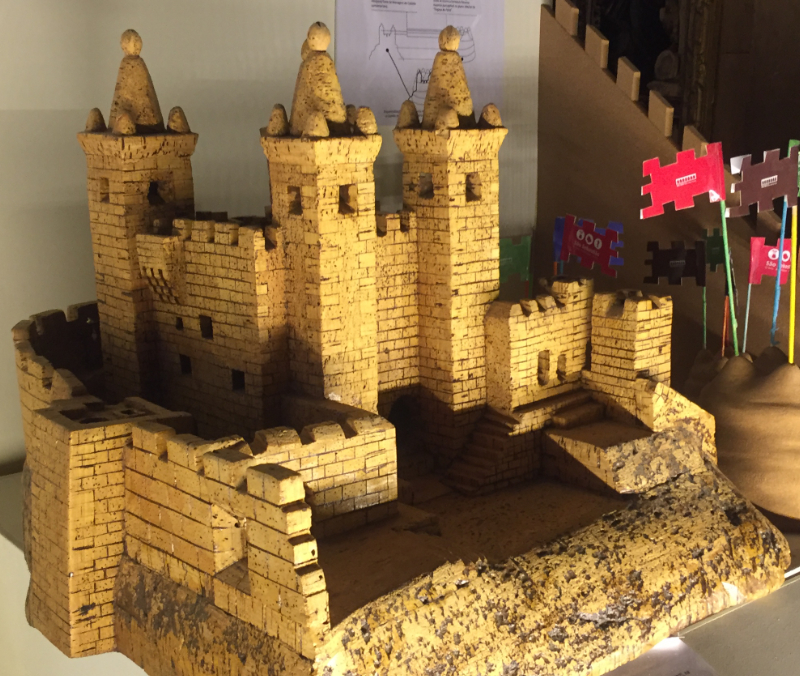 But first, this cork representation of the castle in a local museum shows the castle design more clearly than the photo. The purpose of all castles everywhere, of course, was to be a defence against enemies, a centre for the military and source of manpower, a place to launch an attack from, a safe haven, a store for food and weaponry and the castle of Santa Maria da Feira performed these functions for longer than most. Its foundation goes back to Roman times when it lay to the side of the Lisbon to Braga road and legend has it that earlier still there was an indigenous temple on the site though there is no archaeological evidence for this. 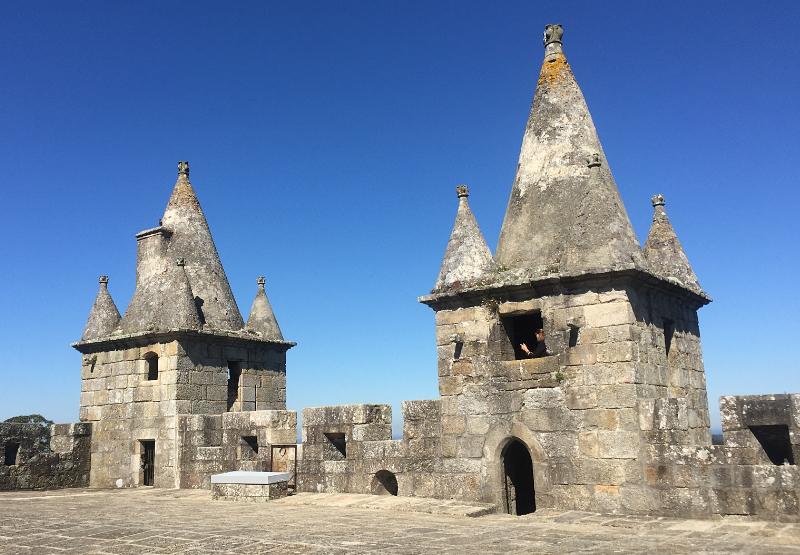 Its heyday was, perhaps, when it was a key location in the creation of Portugal itself. 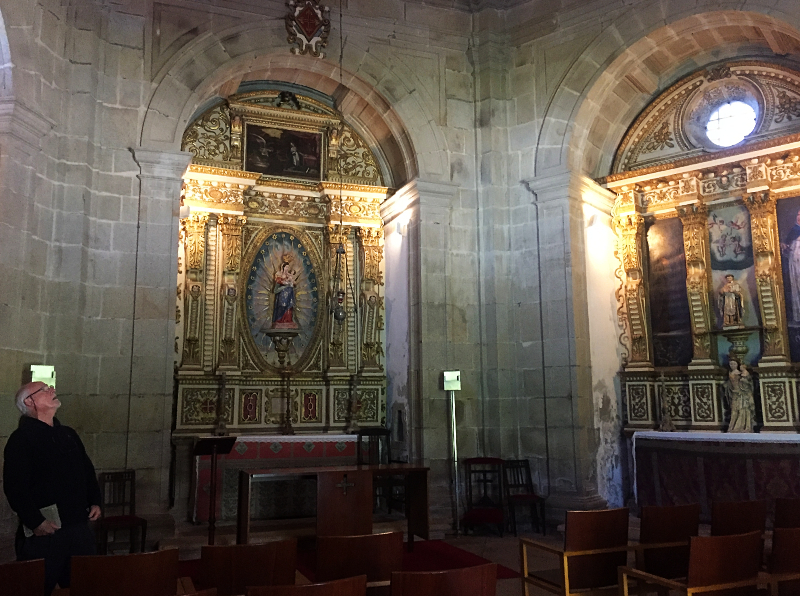 The area south of Porto was given the name the 'Terras de Santa Maria' by the King of Leon in the 9th century and it functioned as a base during the reconquest of Iberia from the Moors. One leader in the 11th century, Al-Mansur, conquered the castle twice but lost it again both times. The next couple of centuries saw successive attacks that were beaten back but with relative peace at the beginning of the 12th century a fair began to be held regularly in the shadow of the castle, giving rise to a town, the Vila da Feira – the Fair Town in the Santa Maria area, thus was born the name Santa Maria da Feira. 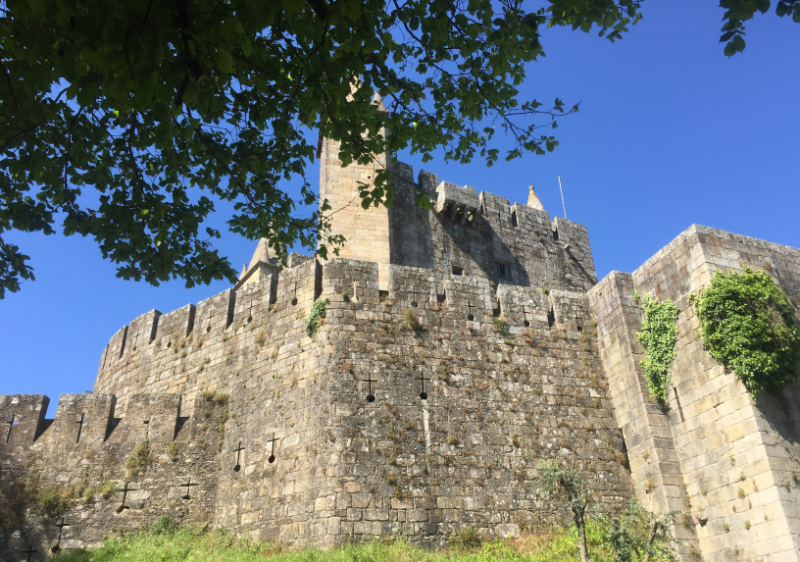 Afonso Henriques, the first king of Portugal, used the castle – a much more basic edifice than the one we see today - as a centre from which to fight his own mother. 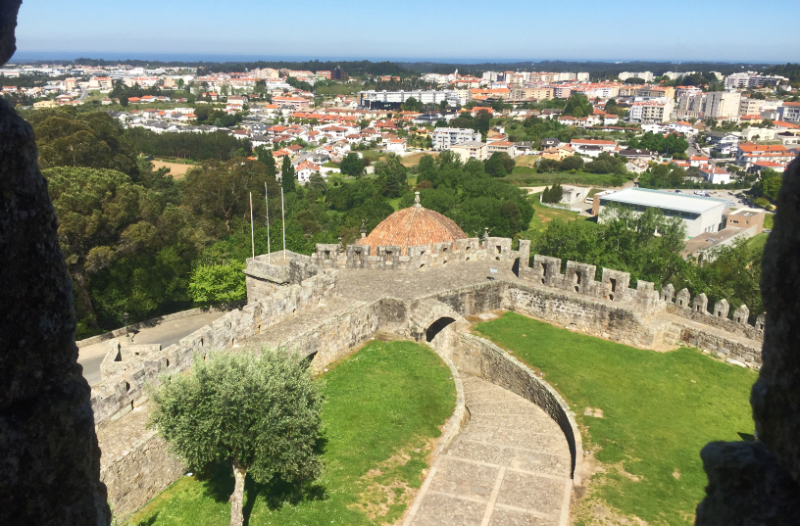 Teresa, whose imposing figure stands at the junction of the Rua Cardeal Saraiva and the Avenida António Feijó in Ponte de Lima, had carved out a fiefdom for herself and her husband and was known as the queen (to see her statue go to http://www.me-n-youinportugal.com/index.php?p=1_2_About-Me) but in the shifting alliances of those days, she chose the support of Galicia and Leon, leading her son to rebel along with local nobles and the clergy. Afonso Henriques' ambition was in fact for much greater things than a mere stewardship of the county of Portugal in alliance with powerful neighbours. He fought for his 'rights', won and became a king. It is, perhaps, because he both beat his mother and drove back the Moors that we have Portugal as a sovereign nation today, a country similar to and yet so different from Spain. 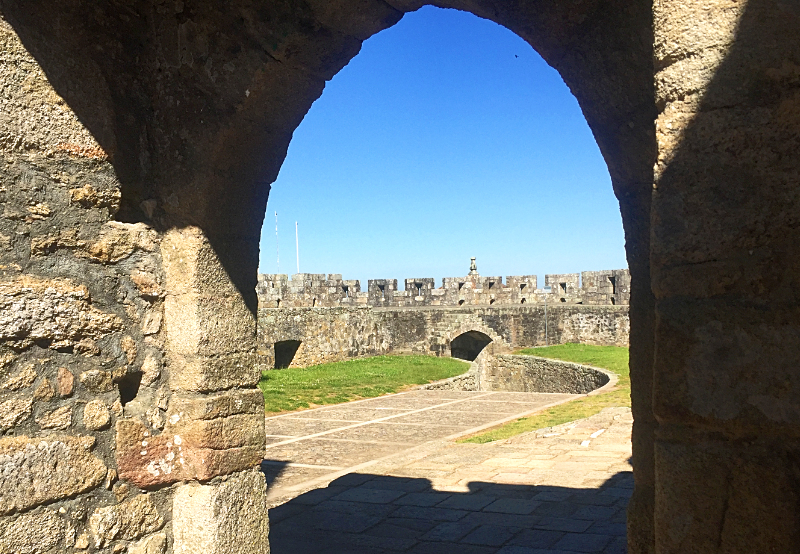 Let's take a further look at the castle which Afonso Henriques knew as an important base. Assaulting the castle would have been horrendous. Imagine struggling up the motte, the grassy mound the castle stands on, with rudimentary ladders, under fire from the arrow slits and from the gaps in the crenellated wall! Think how it must have felt nearing the top with others scrambling up at your heels only for the ladder to be pushed backwards and crash to the ground. How many broken bones and backs there must have been! Today, in peaceful times there's no need to scale the walls. You can squeeze your way up the spiral staircase to the roof and clamber into a turret. Come with me and look out over the battlements. This is what you will see. The rural country that Afonso Henriques and his successors fought for has become one of the industrial power centres of Portugal. Everywhere you go there are cork deposits and factories. This may well be where the cork stopper in your wine bottle started out. 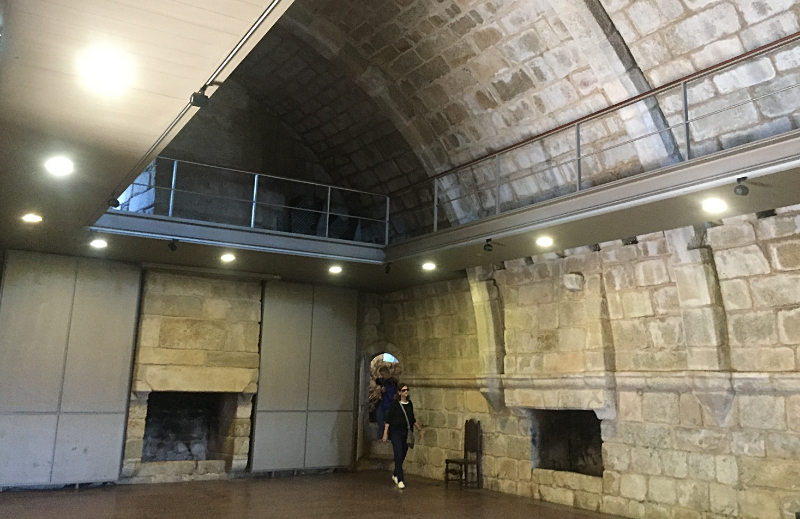 Later the castle became a residence of noble folk and one Countess of Feira, Joana Forjaz Pereira de Meneses e Silva, added an octagonal chapel near the entrance. 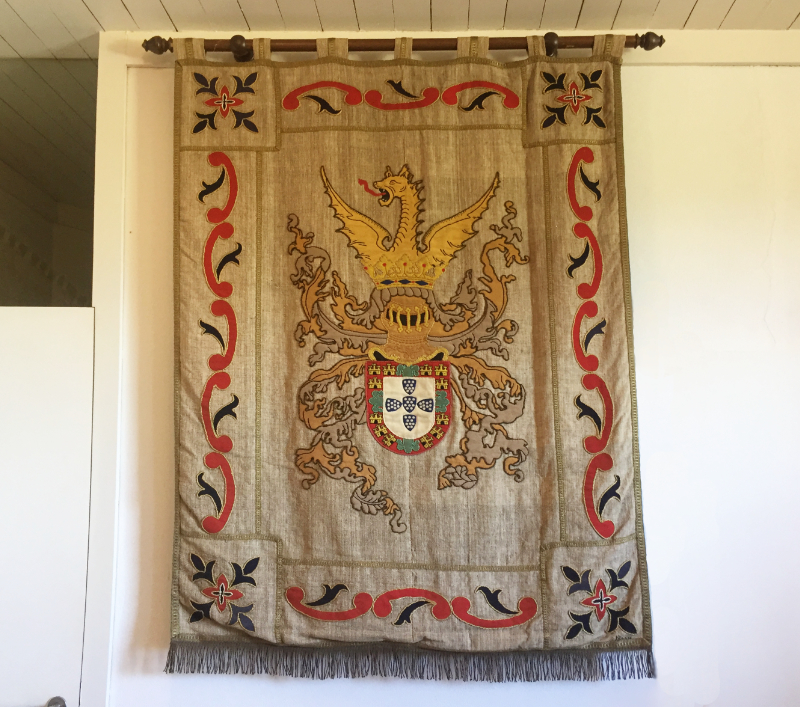 And through a side door to room where you buy your entrance ticket there are some old but not ancient linen coats of arms associated with the castle. There's a little shop with the usual kind of trinkets there too but these are what I would have liked to buy.